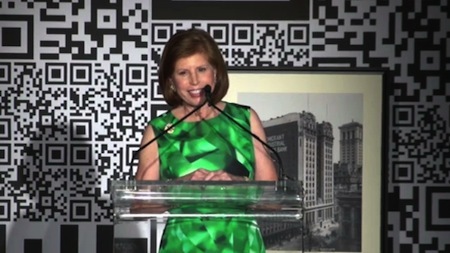 On June 3, 2013, the Spring Dinner for Education brought together many of The New York Public Library’s most dedicated supporters to honor Abby and Howard Milstein for their extraordinary support of the Library, as well as recognize the Library’s 2013 Astor Award Winner, Jon Green of The Urban Assembly. 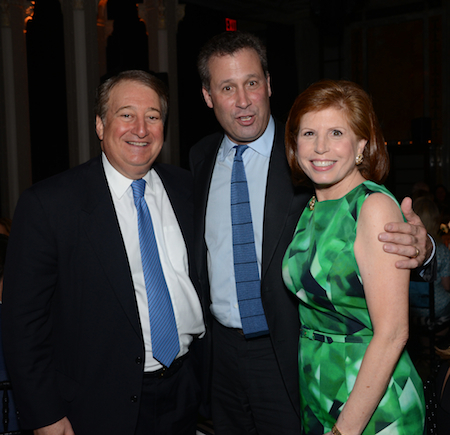 Howard Milstein, New York Public Library President and CEO Anthony Marx, and Abby Milstein at the 2013 Spring Dinner for Education. Support for the Spring Dinner for Education enables the Library to serve New Yorkers of all ages by providing unfettered access to information, knowledge, and educational opportunities. Among the programs supported by the dinner are MyLibraryNYC, an innovative partnership with the Department of Education, whose public school student members are three times more likely to check out library books than their peers at nonparticipating schools. The Library has doubled the number of English for Speakers of Other Languages (ESOL) classes in the last six months and is investing in computer literacy classes and technology training programs. The proceeds from the dinner, which raised more than $1.3 million, will support these programs and many others that promote the Library’s role as an economic engine and a gateway to personal growth.